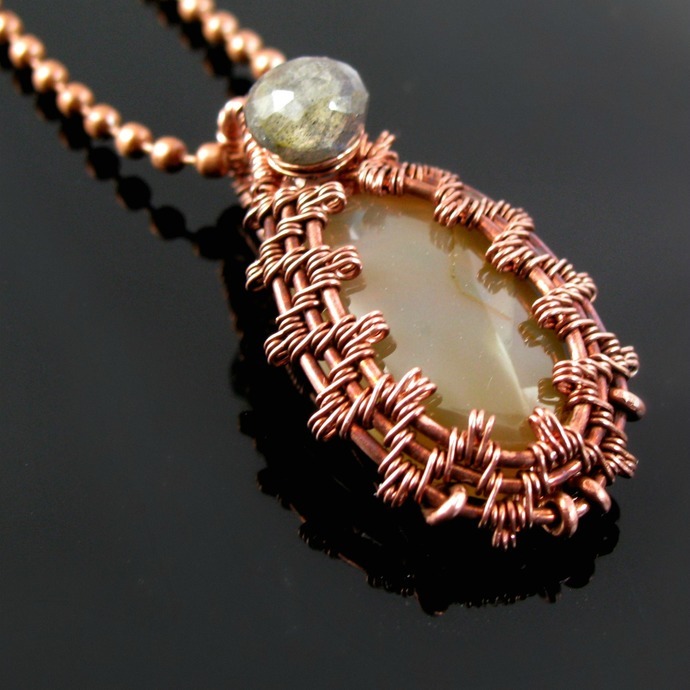 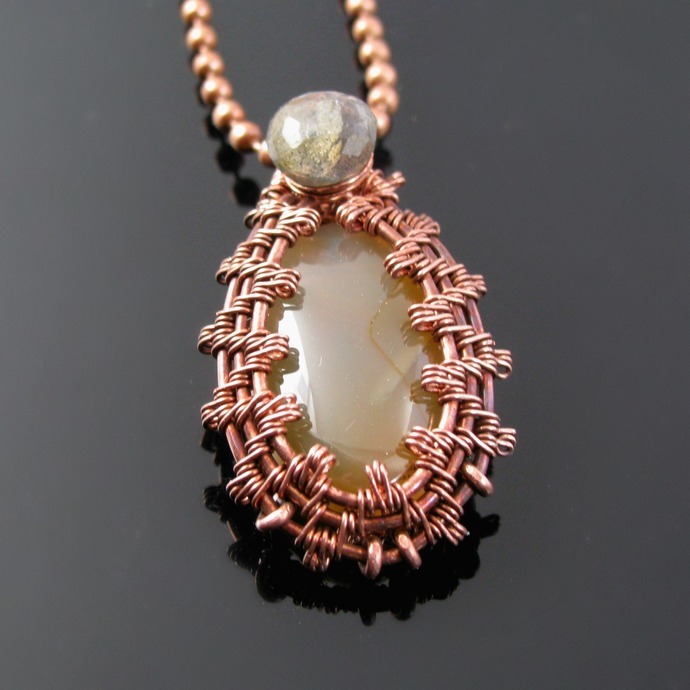 This pendant is woven from oxidized copper wire around an agate cab whose color reminds me of the eerie color the sky sometimes has before a storm. 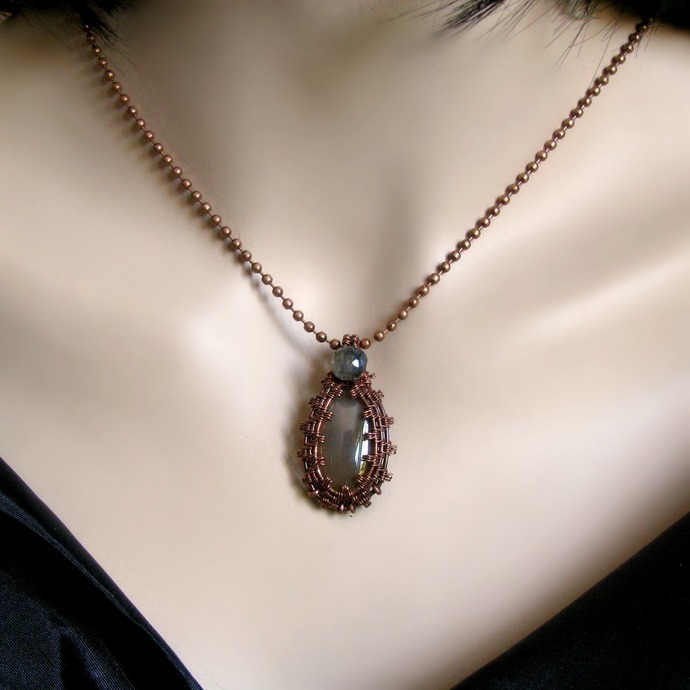 The faceted labradorite onion at the top enhances the look and adds a bit of shine and sparkle. 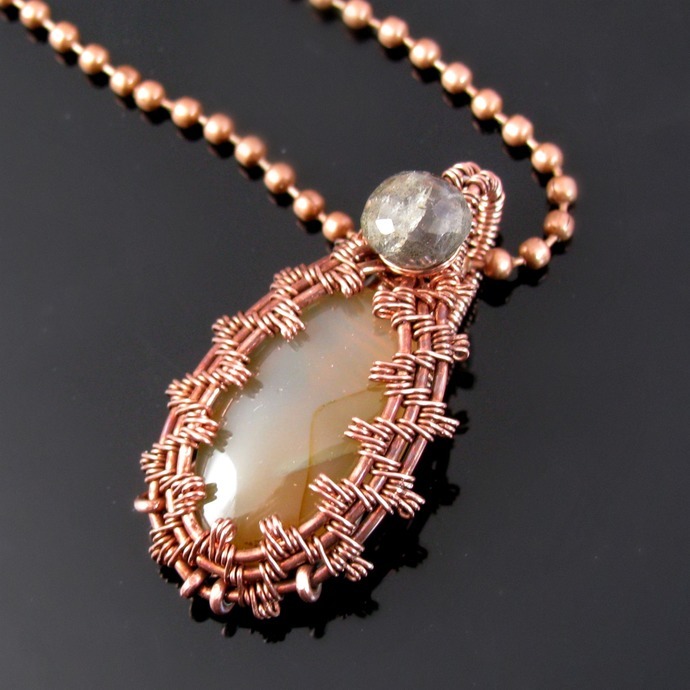 Including the bail the pendant is 4 cm or 1 1/2 inch, it comes on an antiqued copper tone ball chain of 60 cm or 23 1/2 inch.